Application Fields: construction, coal, hydroelectricity, mining, plastic, chemical industry. 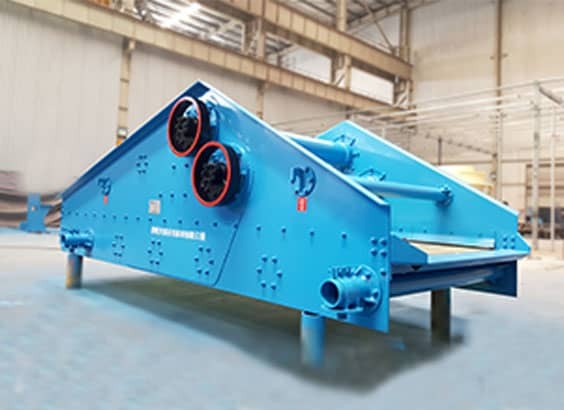 ZKR Series Vibrating Screen is usually used in materials' dehydration and desliming. 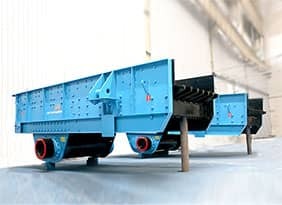 The single deck, double decks, triple decks or multiple decks vibrating screens can be supplied and used for dry or wet screening applications according to different customer requests. 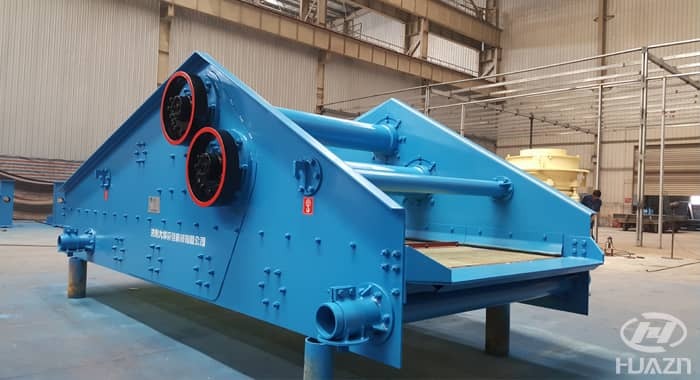 This series of screens has advantages of smart structure, high screening efficiency and high throughput capacity, which has been proved by production practices. 1. 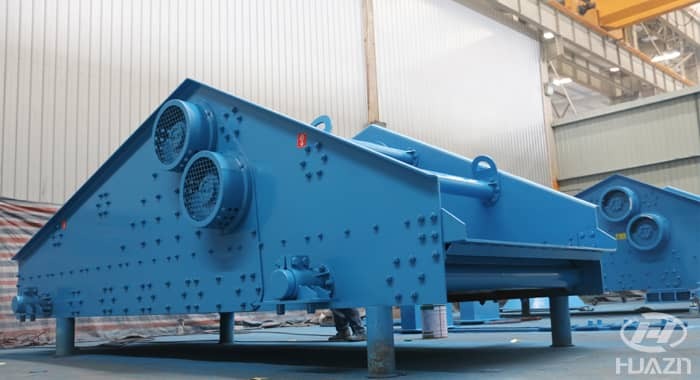 The frequency, amplitude and angle of vibrating screen can be adjusted, which increases screening efficiency. 2. It can use the wire screen or polyurethane screen (tension type and modular type) with different mesh size. 3. 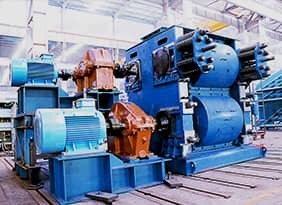 The vibration exciter has been designed with block eccentric, external modular and integrated, and can be lubricated by oil lubrication or thin oil automatic lubrication. 4. Flanged side plate, beam and supporting base are connected with high-strength bolts. So that there is no welding stress existed. 5. 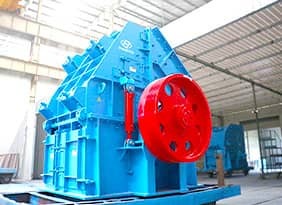 Elimination of vibration technology is applied to avoid horizontal shaking caused by sympathetic vibration when start or stop the machine. 6. The composite rubber springs are used with features of stable vibration and low noise. 7. 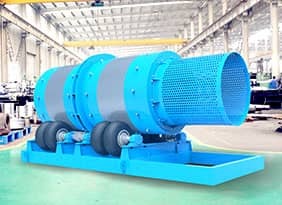 It is optional to use the dust-proof sealing device for the vibrating screen according to customers' request.